Mexico’s Yucatan Peninsula, a major international travel destination in the Americas, brings both spectacular natural history and environmental issues to a wide general audience. 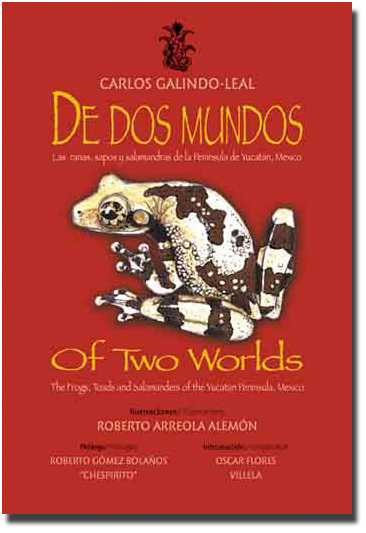 Although few in numbers, the frogs, toads and salamanders of the Yucatan, represent a variety of amazing adaptations that will entice even the indifferent reader. Amphibians are undergoing a worldwide decline, one more indication of global environmental change. The Yucatan affords the opportunity for public education to stop the decline. While there is a wealth of archaeological information on the Yucatan, there is little available on its biological issues for the people of Mexico or the international audience. This book communicates the importance, wonder and plight of these creatures, by providing their natural history in an informative and engaging way. 152 pp, 6.75" x 9.875"
PROLOGUE Roberto Gomez Bolaños "Chespirito"